If someone asked you to design a Texas food pyramid, what would be on it? 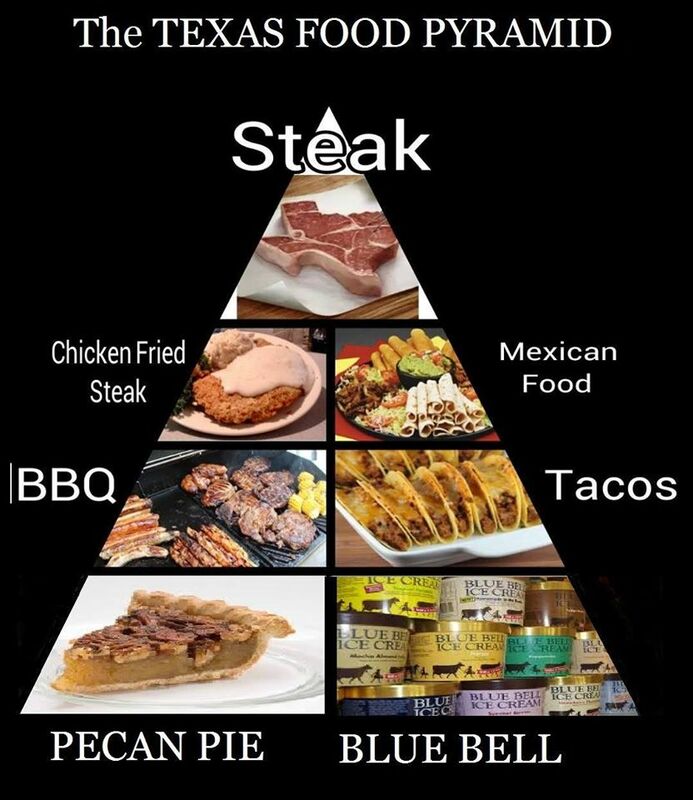 Reddit user RED_SILDER posted the image below to the site's /r/texas board earlier today, kicking off a great conversation about what foods Texans feel best represent our lifestyle. Personally, I think Frito pie and Big Red ought to be on there. What do you think? Would you add or subtract anything? Let us know in the comments section below or on Facebook!